Background/Purpose: Although anti-inflammatory drugs such as nonsteroidal anti-inflammatory drugs and colchicine are the recommended treatment options for pain and inflammation management in patients (pts) with acute gouty arthritis (GA) flares, alternative treatments are necessitated in pts with frequently flaring GA owing to contraindications, intolerance, and ineffectiveness. Safety of canakinumab (CAN), a selective, human anti-interleukin-1β antibody, vs triamcinolone acetonide (TA) over the initial 24 weeks has been reported.1Here we present the long-term safety of CAN over 36 months. Methods: Pts who completed 2 phase III, multicenter, double-blind, randomized (subcutaneous [s.c.] CAN 150 mg and intramuscular [i.m.] triamcinolone acetonide [TA] 40 mg) trials were enrolled in 2 similar design extension (E1) studies. Those completing E1 were enrolled in E2, a single arm study that was followed by an extension, E3. All in E2 and E3 received s.c. CAN 150 mg “on demand” upon a new flare. Long-term safety was assessed in terms of exposure-adjusted incidence rates per 100 patient-years (pyr) of adverse events (AEs) and serious AEs (SAEs) and efficacy was assessed by flare rate per year and high sensitivity C-reactive protein (hs-CRP) levels for a cumulative follow-up of 36 months. Results: Of the 456 randomized in core studies, 272 pts entered the open label treatment with CAN during the extension phase E2 with re-treatment upon flare. Of those, 136 entered and 122 completed the open label treatment with CAN in E3. Overall, the exposure-adjusted incidence of AEs in CAN group was lower (264.6/100 pyr) than in TA group (308.8/100 pyr). Retreatment with CAN did not increase the incidence of AEs. Overall, the incidence of exposure-adjusted SAEs in CAN and TA groups was 17.3 and 17.7 per 100 pyr, respectively. The overall incidence of SAEs did not change in pts retreated with CAN (15.2 vs 15.1 per 100 pyr). Overall, 4 deaths—none related to study drug—were reported (2 pts in each group) due to intracranial hemorrhage [1; not retreated with CAN] and pneumonia [1; retreated with CAN] in CAN group and sudden cardiovascular death (1) and pneumococcal sepsis [1; never received CAN] in TA group. Mean flare rates/year were lower in CAN group (1.1) vs TA Group (2.5). CAN treated pts maintained clinical efficacy (pain intensity and physician’s global assessment (PGA) of response to treatment) upon “on demand” retreatment over 3 years. Median hs-CRP levels remained below the upper limit of normal in pts retreated with CAN “on demand” for new GA flares from 7 days after the initial dose until end of study. Thirty % (n=12) of pts initiating or modifying urate-lowering therapies during E3 (n=40) reached target serum uric acid levels (<6 mg/mL). Conclusion: Over 3 years, a mean “on demand” dosing of CAN was 2.68 per pt. Efficacy of CAN was demonstrated via stable pain intensity levels and PGA response scores in difficult-to-treat pts with GA. These results support the long-term safety of CAN treatment in those with frequently flaring GA pts. CAN safety profile was consistent with that observed in previous studies. 1. Schlesinger N., et al. Ann Rheum Dis 2012;71:1839–1848. Disclosure: N. Schlesinger, Novartis, 2,Novartis, Takeda, 8,Novartis, 5,Novartis, Takeda, Pfizer, Astra Zeneca, 6; T. Bardin, Novartis , Gilead Sciences , ViiV Healthcare , Bristol Myers-Squibb, Merck, Romark, Abbvie, 2,Gilead Sciences, ViiV Healthcare, tol Myers-Squibb, Merck, Eli Lilly, 5,Eli Lilly, 8; M. Bloch, Novartis, 2; K. Lheritier, Novartis, 1,Novartis, 3; U. Machein, Novartis, 3; G. Junge, Novartis, 3; A. So, Novartis, 1; R. Alten, Novartis, 2,Novartis, 8. Schlesinger N, Bardin T, Bloch M, Lheritier K, Machein U, Junge G, So A, Alten R. A 3-Year Follow-up Study of Canakinumab in Frequently Flaring Gouty Arthritis Patients, Contraindicated, Intolerant, or Unresponsive to Nonsteroidal Anti-Inflammatory Drugs and/or Colchicine [abstract]. Arthritis Rheumatol. 2015; 67 (suppl 10). 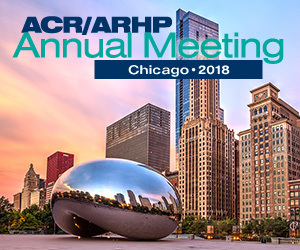 https://acrabstracts.org/abstract/a-3-year-follow-up-study-of-canakinumab-in-frequently-flaring-gouty-arthritis-patients-contraindicated-intolerant-or-unresponsive-to-nonsteroidal-anti-inflammatory-drugs-andor-colchicine/. Accessed April 21, 2019.